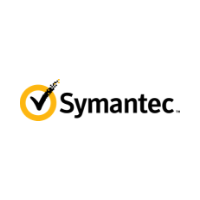 Protect your website and customers with the most powerful encryption technology around thanks to Symantec Secure Site Pro with Extended Validation. Get the Green Address Bar for your website, assuring your users. Get daily malware scans and weekly vulnerability scans. $1.75 million warranty to secure your business. This certificate includes the highly recognised Norton Secured Seal. Increase visitor trust and conversions on your website. Your website will be scanned daily for the presence of malware. A weekly critical vulnerability scan of your website will be performed and a PDF report emailed to you.